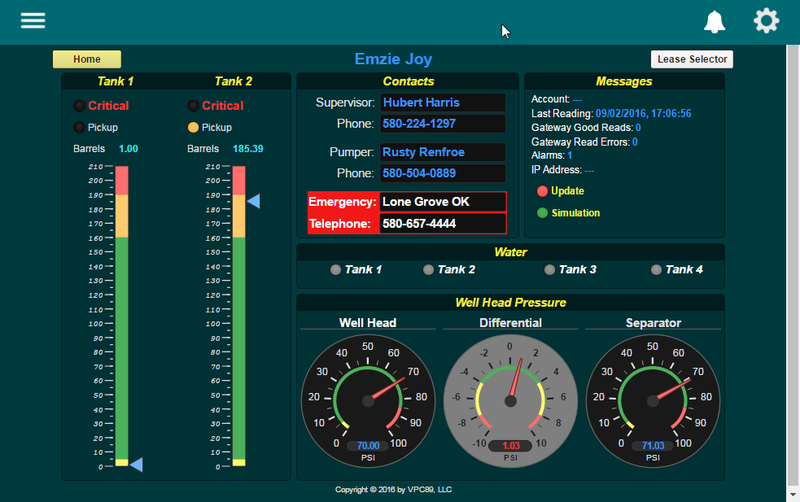 I have multiple oil well sites that the end user needs to see the status and levels of each. I need to be able to set a tag (variable with the site index) and go to a page in a “single” action, that displays the information for that specific site. Has anyone been able to do this, I have not been able to figure out a simple way to do this without using two gadgets. Just a bit of clarification on your use case… Are you looking for a navigation control? So for example, you want to be able to enter a text number that is actually a page number in groov? Is that the use case? Select one of ~50 well sites by name (would be great to have a pull down list). Determine the site index number. Go to a “single” page and Display variables from multiple tables (Tank1 level, tank 2 level, Wellhead pressure) based on the index. I have it working with a couple of test sites, but it requires clicking a button with the site name, setting a variable in Control, copying all site info in to a common “display” set of variable. This does not work well when multiple user are using the system. Don’t really want to create a new button and a separate display page for each site. If not, will have to do some brainstorming to see what we can come up with (if anything). Either way, thanks for the extra info, we totally get what you are wanting now. I built a page selection page using pointers that displays 10 of the 48 leases. With page up/down just to get things working when we have more than the two POC wells. 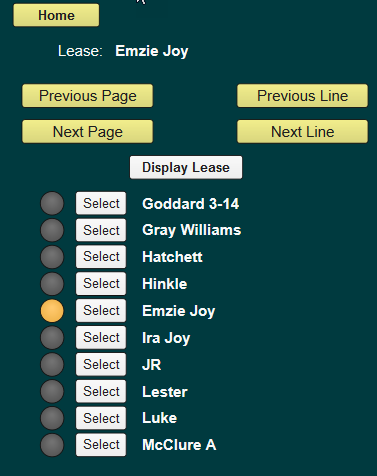 You still have to select the lease, and hit the “Display Lease” button (two actions, three if you have to page down.) But it’s so much more than the customer has ever had. A table drop-down gadget the would return the index in the table would be wonderful.